Posted byFranz Vitulli May 30, 2017 September 4, 2018 Leave a comment on Out of Office 2017 is today, have you signed up? We’re doing it again. After last year’s successful edition, we decided to put together another Out of Office event. What is Out of Office, exactly? It’s a conference about all the things related to remote work. This year we’re having speakers from GitHub, Forbes, Zapier and other big guns of the Internet, touching on a fairly wide array of topics—from remote project management to culture, growth and team building. It is ONLINE, so you will be able to watch it from any device as long as it benefits from an Internet connection. Wherever you are—co-working space, home office, living room, you name it. It is FREE, so you won’t pay a dime for it. You only need to sign up and wait for today 4pm UK time. There’s still time. It is INTERACTIVE, so you’ll be able to ask questions, upvote other people’s questions—Reddit style—and get answers from both our speakers and Human Made folks. We’re on Twitter and will be live tweeting the event with highlights from our speakers and other details. Make sure you follow us, even—and I dare say, especially—if for some reason you can’t watch the event live. Want to tweet about the event? Awesome! 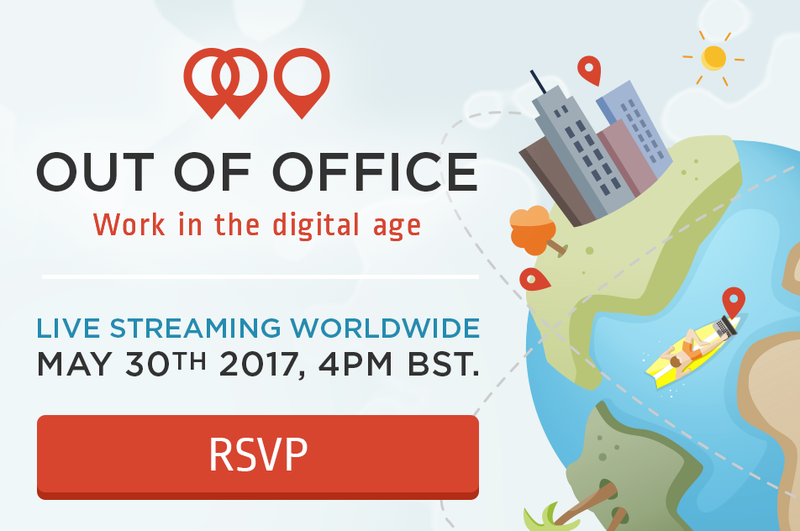 Please use the hashtag #outofoffice17 so all the conversations will be gathered under one stream.